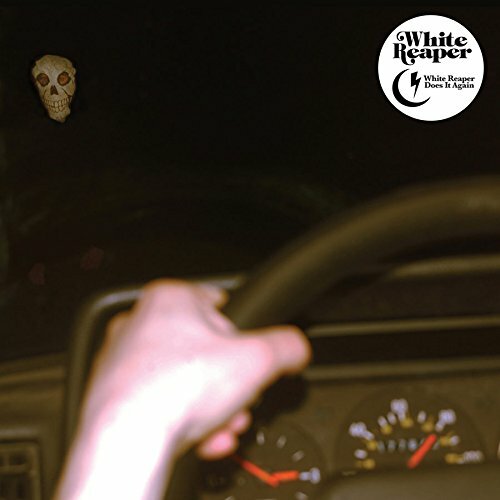 Having woven their way through two albums of what might be described as garage-punk, White Reaper return for their third album with a huge claim forming the title. Truthfully, they’ve probably not been on many people’s radar, but The World’s Best American Band could be about to change that. At times White Reaper attempted to emulate The Strokes, but ended up sounding like a British Invasion band. This album has them hurtling towards that latter bracket even more. Whether it’s the tumult and classroom bell of the title track, or the electronic sheen of ‘Little Silver Cross’, this album, crafted by lads from Kentucky, is a joy to behold. The guitars have always been a focus for these guys, but it’s even more pronounced this time around. You can draw comparisons to bands like The Who, The Clash and even The Rolling Stones, but there is also a tendency towards an 80s hair-metal riff or two, as heard on ‘Judy French’. The Hold Steady managed to make bar-rock seem cool again for a while with their album ‘Boys And Girls In America’, and this album could be a similar type of breakthrough for White Reaper. ‘The Stack’ even features the clanking of keys over a track about taking your chances and getting your groove on. They haven’t lost the love of that initial inspiration though, flashing out a Stokes-esque fill on ‘Daisies’ early on. This is a band which has flourished this time around, putting more thought into each detail and electing to go with a less-is-more in comparison to some of the messier garage rock bands out there. Not afraid to bust out a solo, but also not afraid to let a simple bass line stand by itself, White Reaper certainly stand a good chance of attaining the title of “The World’s Best American Band”. A beefed up sense of self-importance can sometimes help feed into the sucess of the music, and it’s something at play on this album.